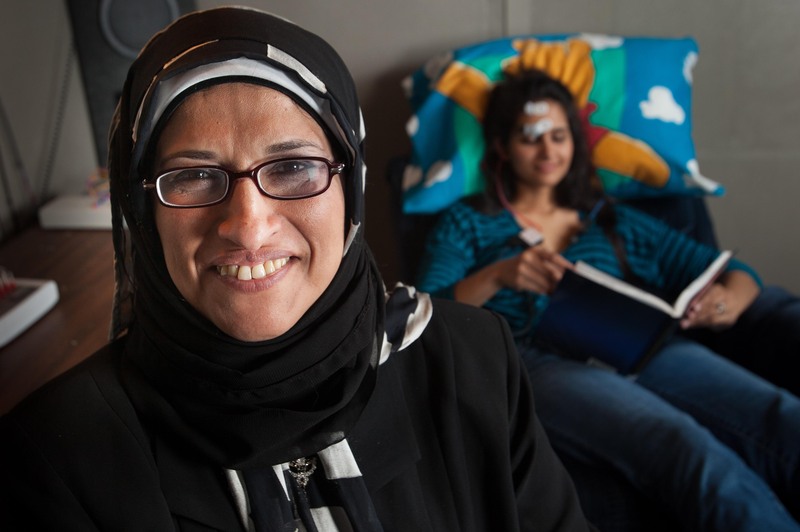 Dr. Wafaa Kaf, professor of audiology, has spent many of her 10 years at Missouri State researching ways to evaluate the hearing of these challenging populations. Dr. Wafaa Kaf is conducting research to help detect Meniere’s disease, a condition that can eventually result in hearing loss, at an earlier age. Vertigo, dizziness, a sense of ear fullness and ringing in the ears are all symptoms for a variety of illnesses, like migraine. According to Dr. Wafaa Kaf, professor of audiology in the communication sciences and disorders department at Missouri State University, these symptoms may not immediately raise a red flag to a patient with Meniere’s disease, and that’s one of the major challenges of this disease. According to Kaf, Meniere’s disease is a common disease of the inner ear affecting adults in their fourth decade of life. The disease is believed to be due to an abnormal increase in the amount of the inner ear fluid. If left untreated, this progressive disease may lead to deafness. Kaf and her research team are recruiting people who have been recently diagnosed with Meniere’s to participate in a three-hour long study. Participants will be compensated $75 and will also receive free comprehensive hearing evaluations to assess hearing sensitivity and middle ear status as well as inner ear and nerve function using both the standard and the modified, experimental procedures. To participate in the study, contact Kaf’s research assistant, Alana Kennedy, audiology doctoral student, at (417) 860-2556 or contact Kaf at (417) 836-4456 or via email wafaakaf@missouristate.edu. Kaf has received generous funding for this research study from the Hearing Health Foundation.